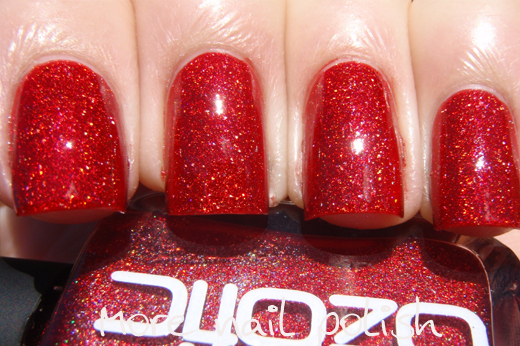 Today I have some reswatch spam of undoubtedly three of the most spectacular polishes from the Ozotic 600 series. 621 - rich yellow leaning red large particle scattered holo. 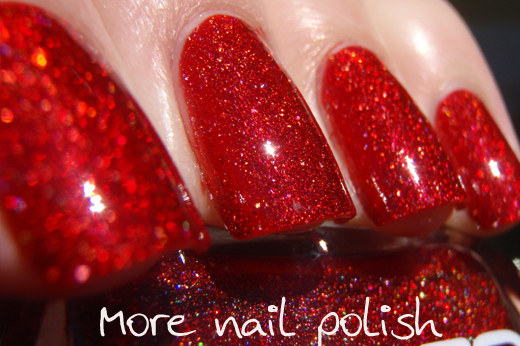 This is my go to shade for Christmas nails. And let me tell you now, I'm going to be partnering this with Kryptonite for some festive cheer later this year! They are a match made in heaven! 623 - Black large particle scattered holo. Last time I swatched this I directed quite a bit of hate at it. I was disappointed with it, in fact I made it look terrible. This time around I absolutely loved it. It is sparkly and glowy. Maybe the formula in the square bottles has been tweaked compared to my older round bottle version. Whatever the reason, I apologize to this polish and take back all my previous hate. I now love you 623. 624 - bright and regal purple large particle scattered holo. 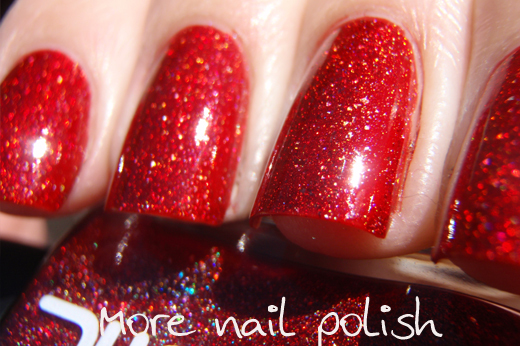 This one is a well deserved popular polish. 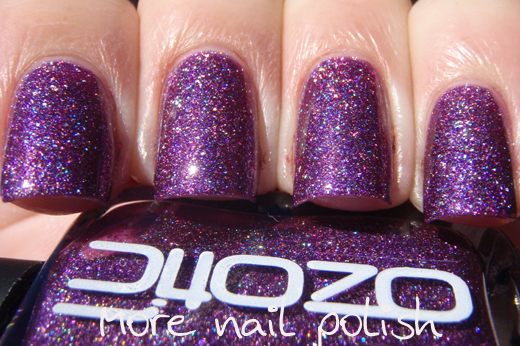 I can't wait to get Picture Polish Attitude from their Collaboration Collection to compare it to this given they are both purple polishes with the same holo particles. While they are both purple, I think Attitude will be darker and blue. Stay tuned for that. 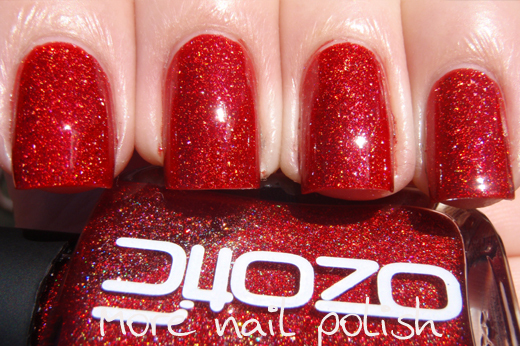 Have you guys seen the sneak peak of the new Ozotic 900 polish on the Picture Polish Facebook page? Sugar, Beam and Reflection are the other hints they gave us about the new collection. I'm super excited to see them. How about you? You're the worst person ever for my wallet, Cathy. I need these three in my life now. I love all the nail polishes! So pretty! I have to look online! Can you please stop posting these - I'm becoming increasingly more green! Wow! The red one is awesome! 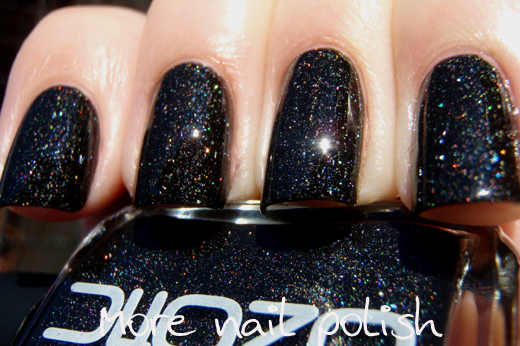 621's holo shards disappear with all the topcoats I've tried (I've tried 12 now! ), which is just devastating to me because I've been looking for something like this for over 3 years. Kryptonite's holo shards stay visible though. Have you found a good topcoat that doesn't alter 621? Nikki - I used a coat of Seche Vite quick dry on all the swatches above (and on all my reswatches of these colours). I did notice a very slight dulling on the lighter shades, but generally they were ok. Unlike the CG Kaleidoscope's which are terrible with top coats. These all look so beautiful. 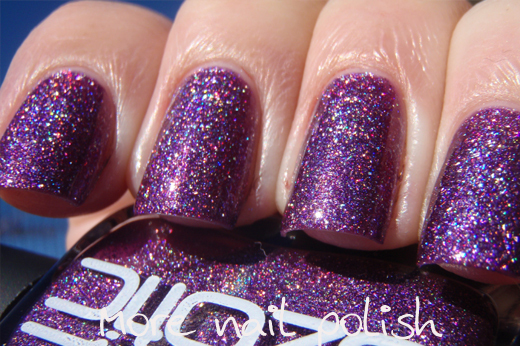 I am not obsessed with holos (yet), but these photos speak a lot to me.